Brockenhurst College | Brock is one of the most successful Sixth Form colleges in the UK, offering A levels, Vocational, Adult Learning, Apprenticeships, Business courses. What do employers say about us? 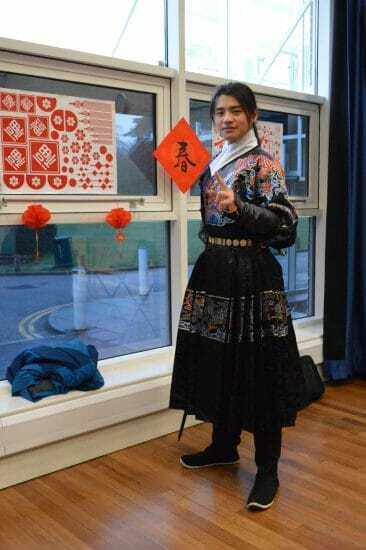 Chinese New Year celebrations were underway at Brockenhurst College last week to welcome in the year of the pig. Students and staff took part in a range of traditional and festive activities such as origami, tea ceremonies and calligraphy. Throughout the week, the Hard Brock Café sold a range of East-Asian food, and students were able to show off and compete using their chopstick skills. 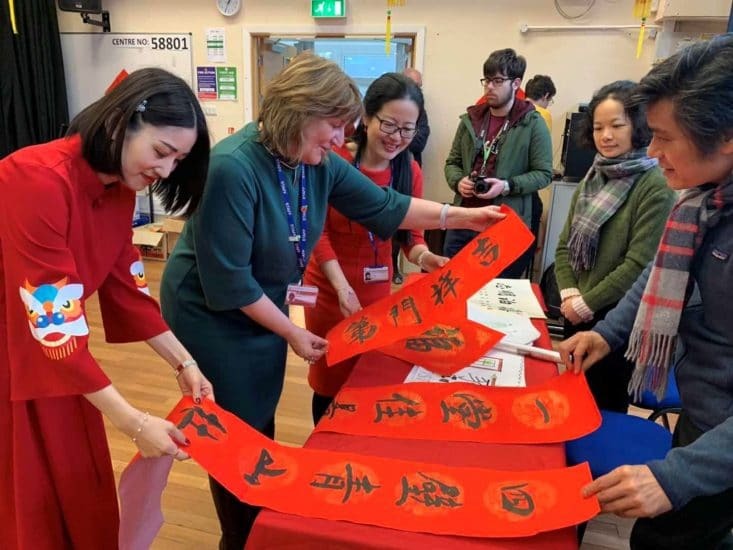 The parents of International Chinese student Frank Lin even travelled from Shanghai to join the College for its celebrations, bringing with them calligraphy work and decorations. Former student Zoe Brent, who recently returned from a year of work experience in China, also joined in events on campus. 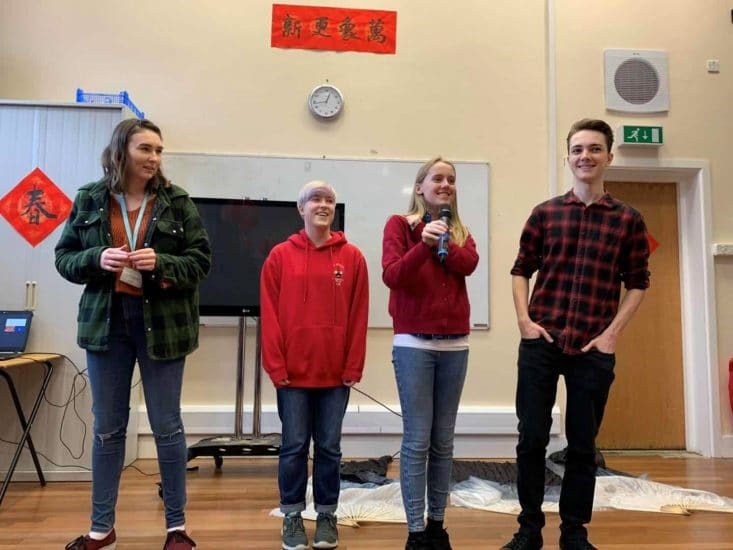 The celebrations, organised by the College’s Confucius Classroom and the Chinese student community, included four British first-year Chinese-learners performing a song in Chinese. Chinese New Year, known in China as Spring Festival or Lunar New Year, marks the end of the winter season and the beginning of a new year on the Lunar calendar. It is the longest and most important celebration in the Lunar calendar and is celebrated in most South-East Asian countries as well as China. Brockenhurst College has a proud history of promoting Chinese language and culture. As well as its annual Chinese New Year event, the College has prestigious Confucius Classroom status, which means it is recognised for the quality of its teaching in Chinese language and culture. 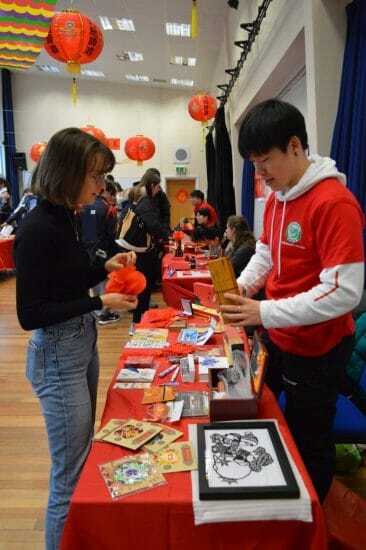 Transnational Education and Confucius Classroom Manager, Xing Li Bloodworth said: “This event is a great opportunity for our Chinese student community to give back to the College through sharing their traditions and culture, while also helping them feel more at home at this very important moment. “We are very grateful for the support from the students and staff, as well as international student parents and the College’s Chinese learner alumni,” she added. Brockenhurst College is a smoke free, vape free, dog free campus.